The ceremony serves to commemorate those who served in Bomber Command as air or ground crew, as well as the ongoing recognition to the veterans of WWII Bomber Command. 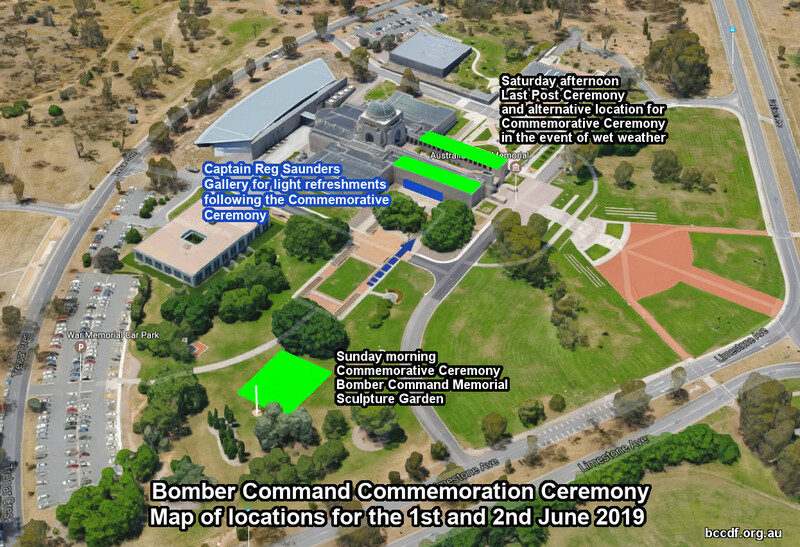 The weekend commences with the Last Post Ceremony on Saturday night at 4.55 pm when the Australian War Memorial will commemorate the service of a RAAF member who flew in Bomber Command. The traditional Sunday morning service and wreath laying will be followed this year by light refreshments with tea and coffee in the Captain Reg Saunders Gallery, which is a short walk from the Bomber Command Memorial. Tickets to attend the function in the Captain Reg Saunders Gallery will go on sale at a later date.